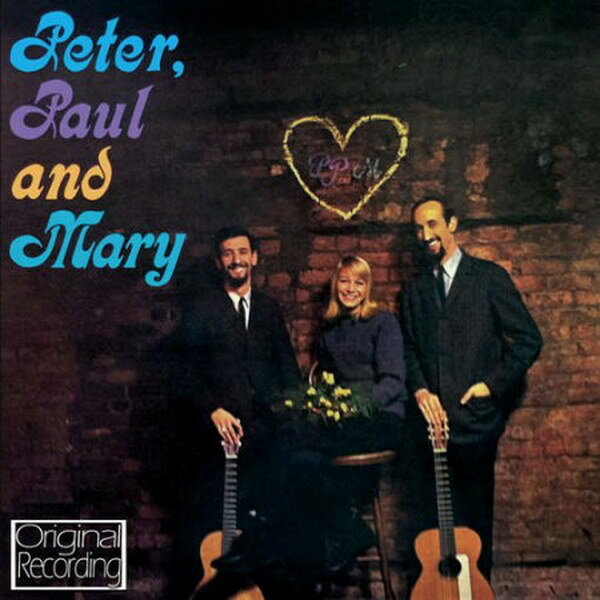 Peter Paul and Mary font here refers to the font used on the cover artwork of Peter, Paul and Mary, which is the debut album by the American folk-singing trio Peter, Paul and Mary. The font used on the cover is probably Kalligraphia. Designed by German type designer Otto Weisert in 1902, Kalligraphia is a cursive art nouveau display script typeface with a unique stroke contrast model. The font is a commercial one and more details about it can be found here. In addition to Peter Paul and Mary, Kalligraphia typeface is also used in the following logos, movie posters or album covers etc., including: The Partridge Family.